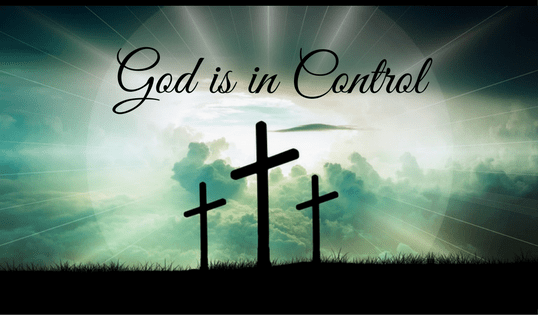 God is in Control, Right? 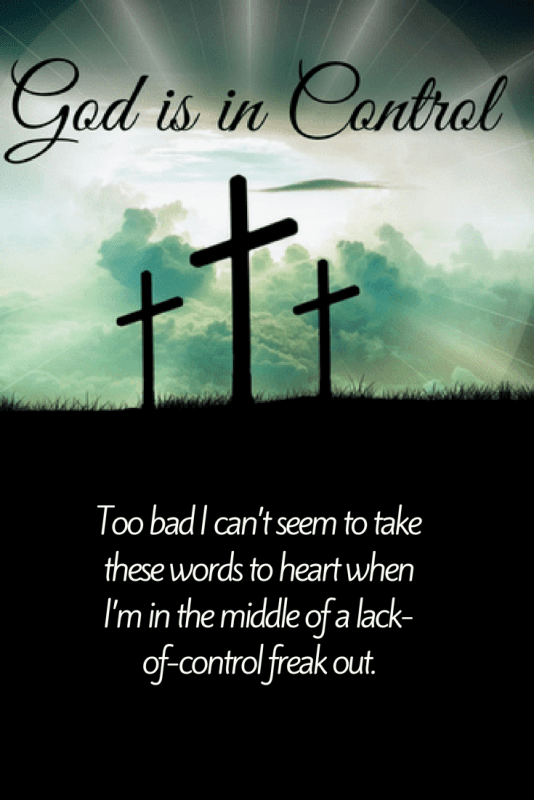 Too bad I can’t seem to take these words to heart when I’m in the middle of a lack-of-control freak out. Once upon a time I never would have described myself as a control freak. I mean, I’ve got a typical Type A personality and am true to my birth order description, but I’m also generally pretty laid back. Aside from my teen years and the random drama of junior high and high school, I have always tried to stay neutral through the ups and downs of life (at least that’s how I remember it). Friends, I am here to tell you how the tides have changed. Whether it is just that I’m getting older and losing that notion of invincibility, or the fact that I now am charged with the care and sustenance of four other lives, I don’t know. Maybe it’s too many consecutive years of stress, or perhaps a culmination of all of the above that sparked my intense need for control. 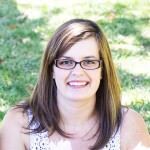 Yet at thirty-one years old, I found myself winding through the mental and physical implications of panic attacks. I used to puzzle at the idea of fainting. I knew people who fainted for various reasons, but I never quite understood how a person could get to that place. Now I fully understand it. While I’ve never officially fainted, I’ve felt that feeling of “losing control” over my body enough times in the past year to last me a lifetime. The most difficult part of this past year’s struggle has been figuring out what issues are actually related to a bodily problem and which issues are a result of the panic that has bubbled up inside of me. For me, my panic is set off by the fear of physical trouble. I’ve spent a fair amount of time analyzing my issues, and that alone has given me the ability to calm down most of the time. However, I do have days where I can’t seem to kick the panic. It’s ever-present and sometimes encompassing. It tricks me into thinking that I’m having a heart problem, or a blood pressure problem, or that I might have a stroke. This alone makes me feel like I’m going crazy. This didn’t used to happen, why does it happen now? In reality I know the answer. 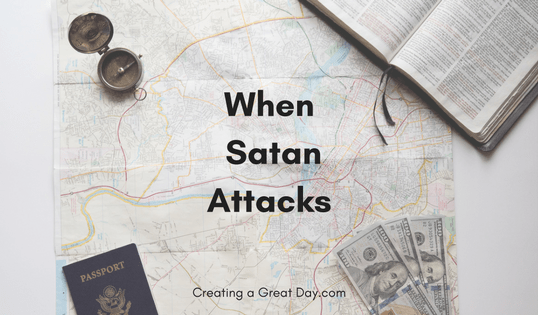 A scary birth, my newborn being hospitalized, and the loss of a dear friend who also had young children seems to have triggered a type of control issues all its own. How can I control what’s going on inside my body? How can I ensure that my valves open and close at the right times? Or that my heart continues to beat to the right rhythm? Or that I don’t have a stroke at home in the middle of the day, leaving my children to fend for themselves? I can’t. Obviously, I absolutely have no control of those things. I can eat right, exercise, and get fresh air, but none of that guarantees I will carry on to see another day. Here, in this setting, God is truly the only one in control. 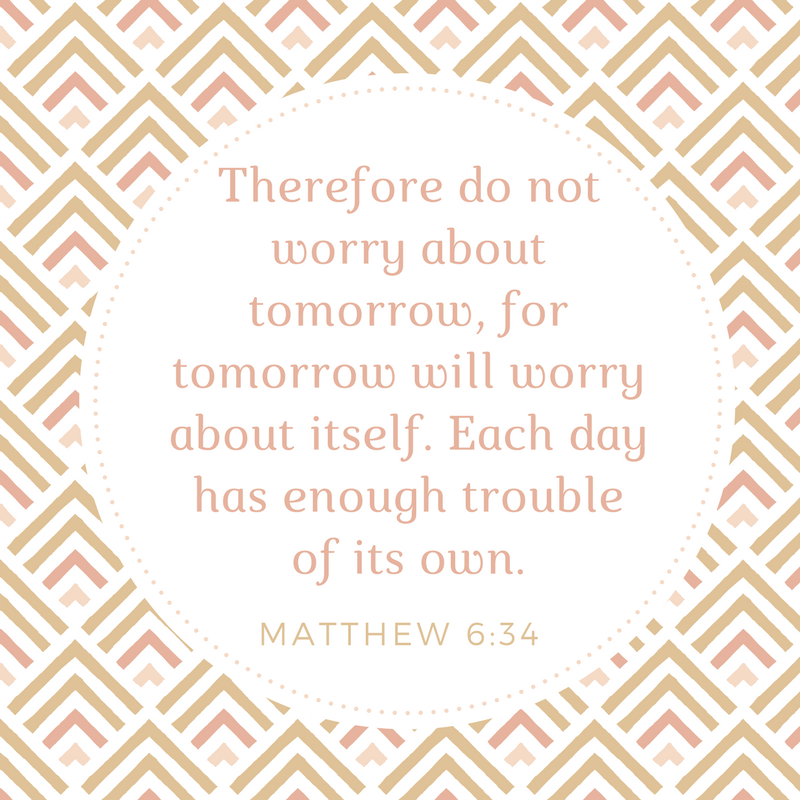 This is one of the verses that sustains me when I need to calm my mind and refocus on the Lord. Here’s another of my favorites. It turns out that worry and anxiety is not a new thing. Turns out that the good Lord knew what kind of trials we might face, even those within our minds. Alongside all of my introspection, I have also taken time to really consider the mental struggle Jesus must have endured during His last days on the earth. Knowing that He would ultimately have to face not just death alone, but the persecution and hatred of people around Him. Jesus often went off alone to be in prayer. I have to wonder if many of His prayers were for mental strength. How easily He could have been consumed by the fear of his upcoming crucifixion! Fear of the pain and torture, fear of the hatred. Spending time with the Father would have been the only comfort for Jesus, and the same is true for me. 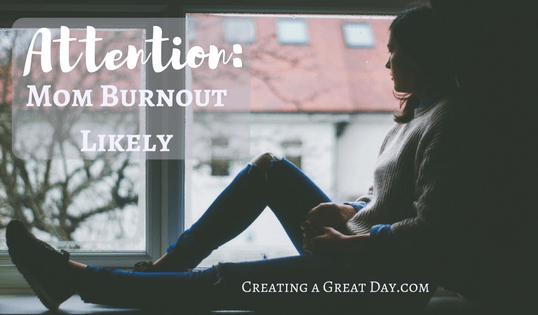 Do you struggle with panic and anxiety? I’d love to hear what helps you through it! Interested in reading more about control? 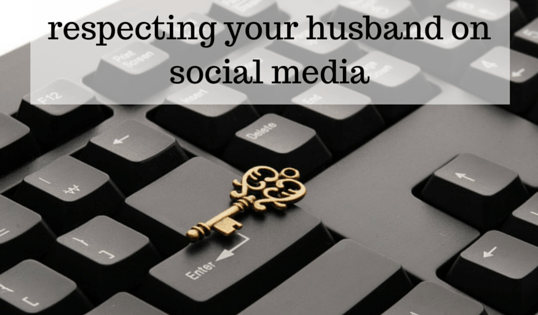 Check out Toni’s post and Sara’s post. Last Thanksgiving my husband’s parents generously hosted Thanksgiving at a condo in Branson so that we could enjoy the holiday festivities at Silver Dollar City. It was truly a wonderful idea! We were very excited about taking our then two-year-old daughter to experience such a fun place! It just so happened that Silver Dollar City’s holiday hours were a tad bit inconvenient for our daughter’s nap schedule and so we went in the evening, a time that is usually not her happiest. In addition the crowds were heavy, which meant we couldn’t let her toddle around very much, and it was so, so cold. As you can imagine, she wasn’t very happy. She cried and cried. My husband’s sweet parents soon took her back to the condo where she could play in a more comfortable setting. Do you ever feel distraught over your mistakes? Perhaps you were given a wonderful opportunity to do something marvelous but ended up making a mess of everything. 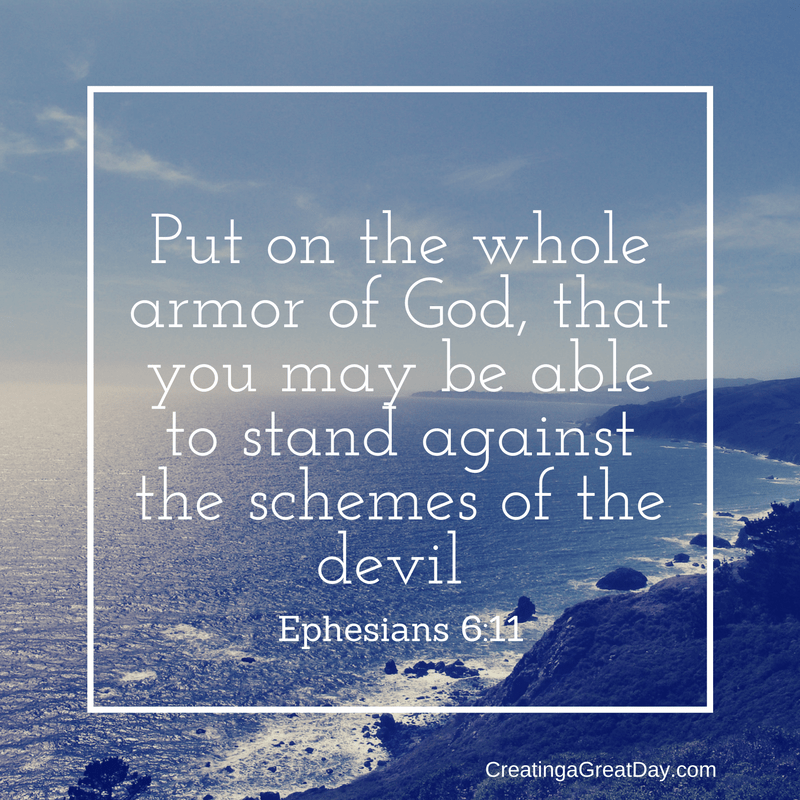 In these times it can be easy to let fear and embarrassment keep us from approaching our Heavenly Father. We might even back away from our church family. It is so easy to be overcome by our pride and insecurity. 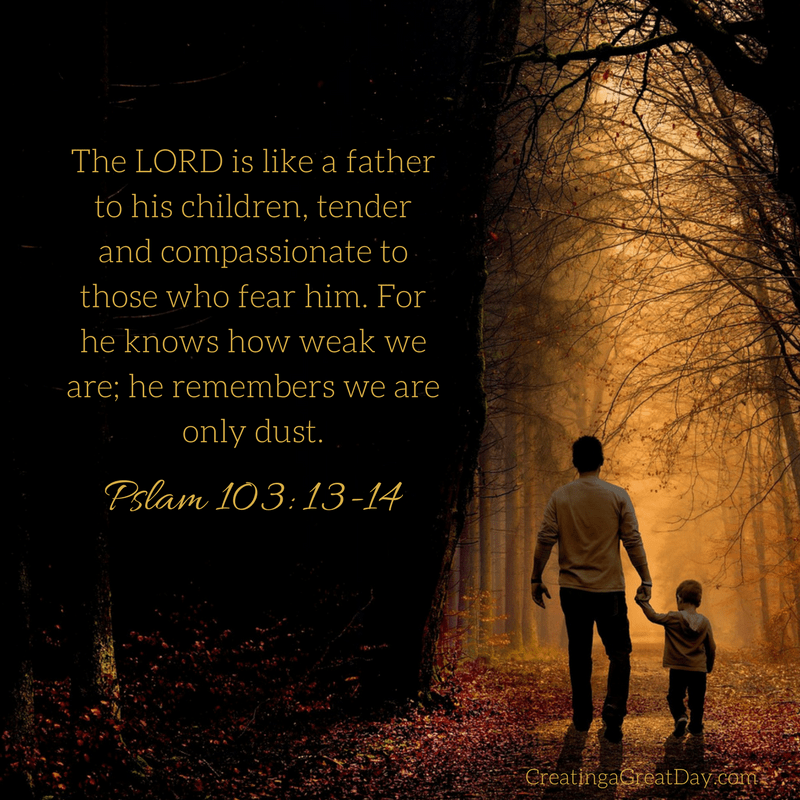 How easy it is to forget that God loves us as a father does his children, that he understands our limits and frailties. I’m reminded of the prodigal son. He begged for his inheritance money and foolishly blew it all on worthless things while living a lazy lifestyle. When he humbly returned home with the plan to work as a servant, his father RAN to him and threw him a large party. His son’s return filled him with joy! Christ explained that God’s enthusiasm is the same when one of his precious children returns to him. Our Father God is rich in love for us. We must be kind to ourselves when we mess up. We should humbly seek him at even our most shameful times. He understands. He will welcome us! When we rest in His love for us, we will be able to move past our mistakes and shortcomings. 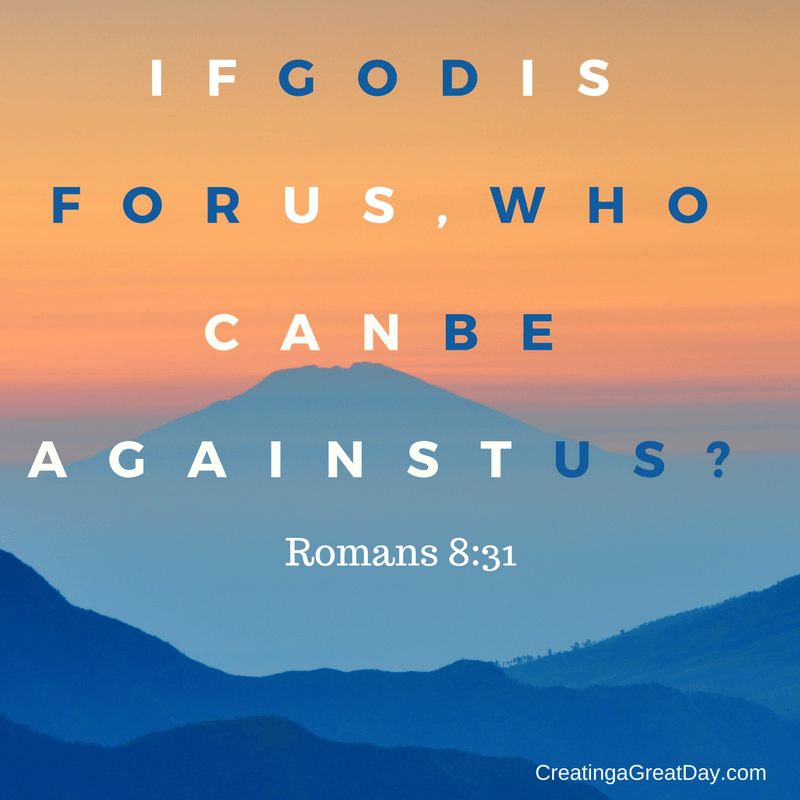 We can dare to do great things for Him without worry and doubt in our way! So be encouraged, sweet friend! 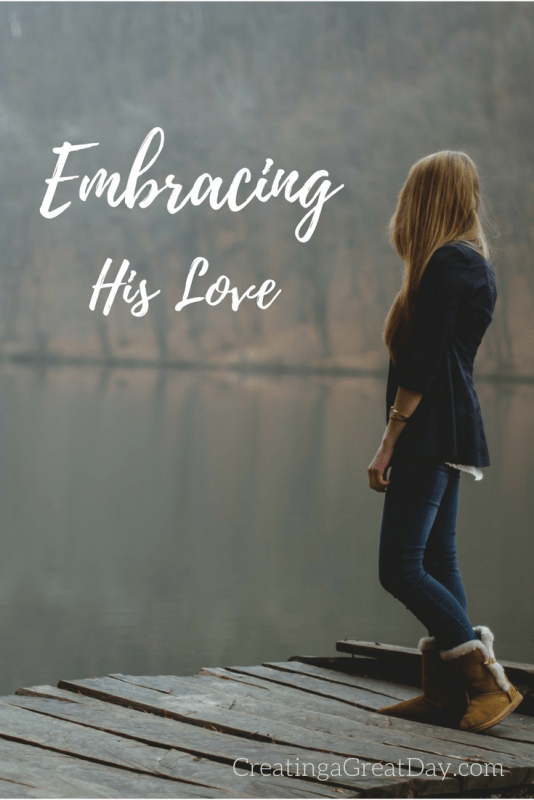 How freeing it feels to know the pressure to be perfect can dissipate when we truly embrace that we are His child, whom he dearly loves. 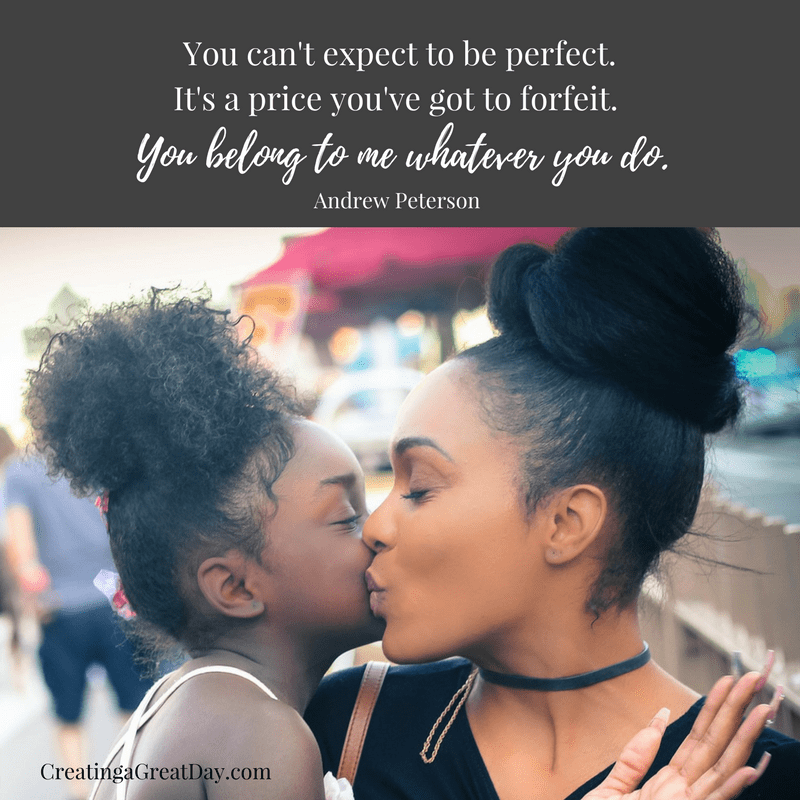 I love the music video for Andrew Peterson’s song “Be Kind To Yourself.”.” Two of his children are featured in the video with him, and the affirming words of his unconditional love for them are a gentle reflection of God’s love for us. 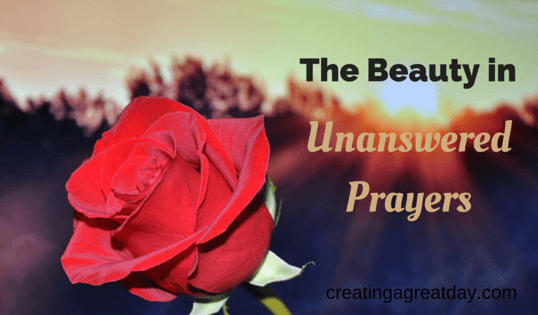 I hope it will encourage you today if you are struggling with insecurity or past mistakes. God loves you so deeply! Embrace his presence today! 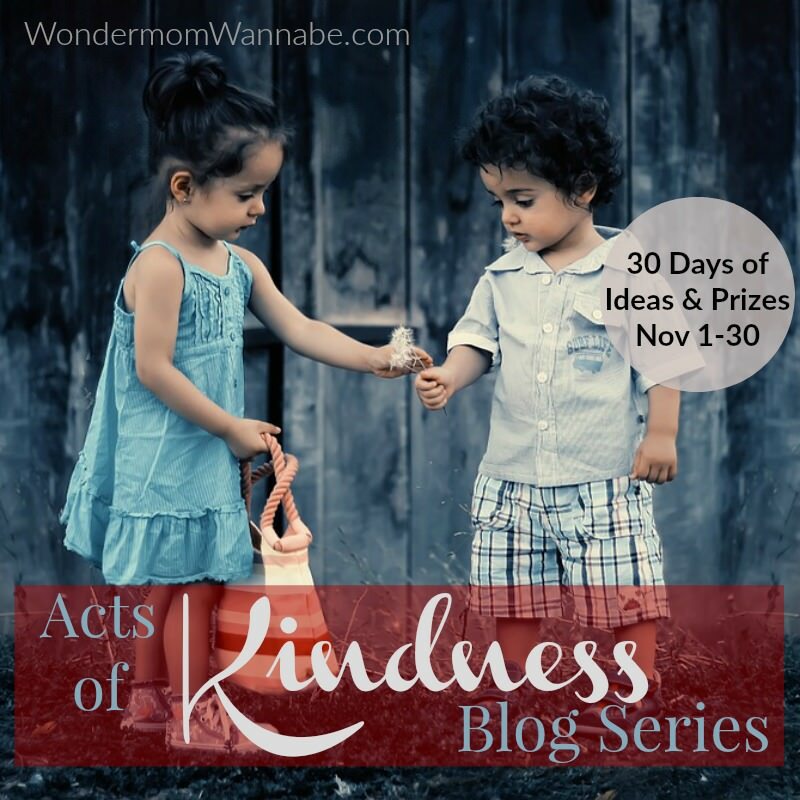 Click HERE to watch “Be Kind to Yourself”. 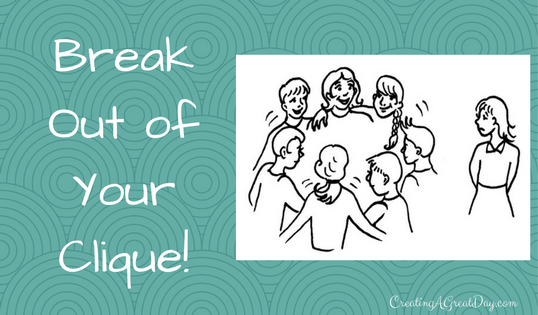 *A discussion topic found in The Lifegiving Table Experience by Sally Clarkson inspired this post. To understand Him is to understand hope. 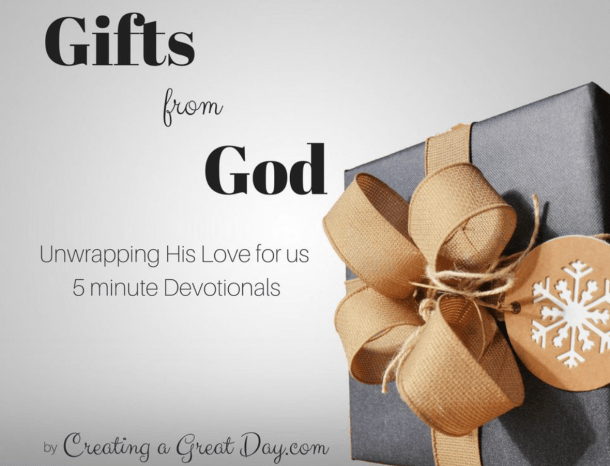 To understand His gift of mercy is to understand His gift of grace. To understand our continued state of rescue is to understand our place of refuge. Lately, nothing soothes my heart and mind more than the moments where I find myself sitting still and abiding with my Lord. There, I draw comfort and strength. I focus on Him and who He is as Father, Son, and Spirit. In the place of full abiding is where I can breathe Him in, refreshing and perfectly good. Who He is completely captures me. 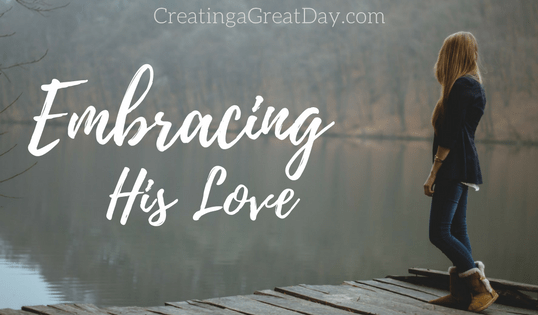 Though I should want to recoil in shame, I am nonetheless drawn into His presence fully aware of the grace and mercy covering me. 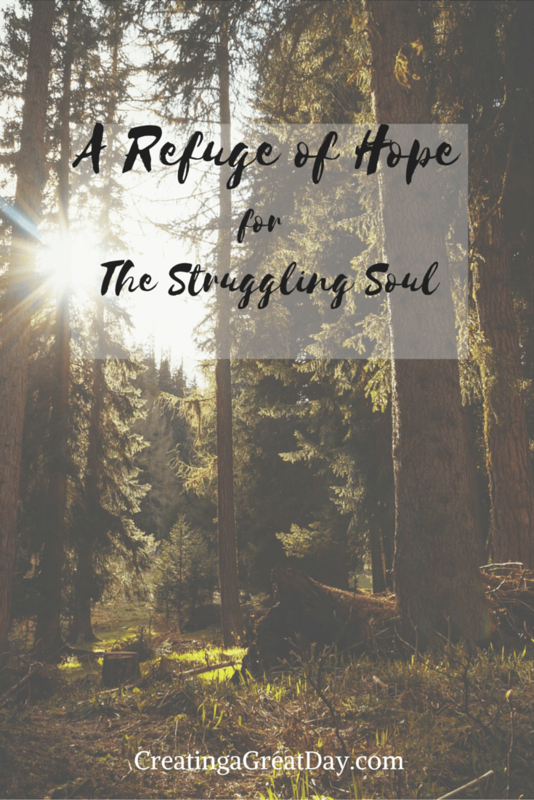 The very essence of my continued rescue is found in those moments when I rest in Him, and the exceptional standard of hope that is found in Him is given during these moments. Words from the Psalmist come to mind as I recall the image of refuge, a refuge found in those moments of abiding. The Throne Room of Heaven, the Holy of Holies. It is a place to where I move beyond seeking escape. It is a place where I can come to Him and it is intimate, beautiful, and holy. Holding fast to Jesus, I can enter His presence with reverence and with rest. This combination of feelings produces an attitude which depicts the place of His dwelling. Here grace envelops me all the more, so wherever sin has tempted and tried…sin finds full defeat. Through the God-Son, there is no manner of sin that was not defeated through His perfection, through His death, and through His resurrection. 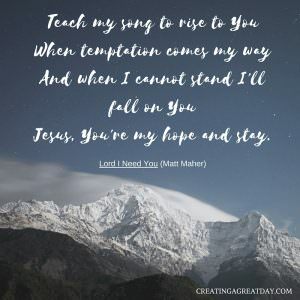 So, in all the ways fleshly desires hound us and in all the way sin’s aroma seeks to draw us in, we can hold fast to the knowledge of a Rescuer who felt the same temptations and conquered them. 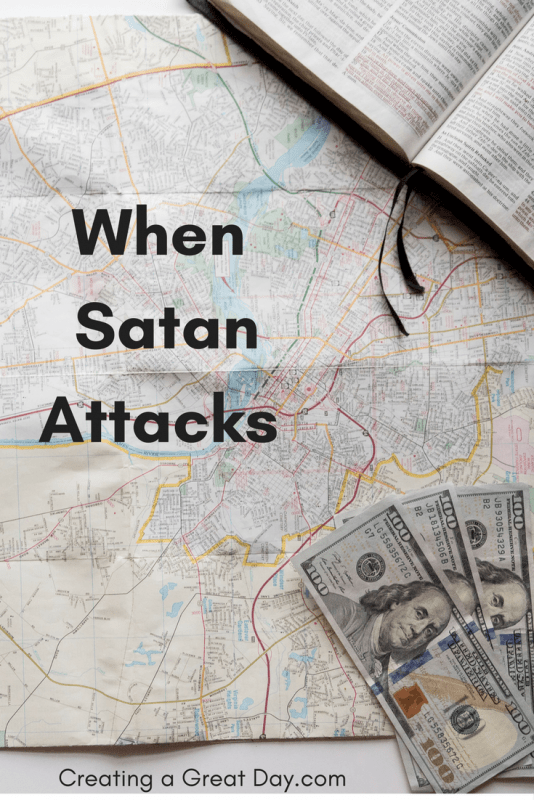 His accomplishments over–not just the very nature of sin, but as well as its enticing, tempting ways–are a victory we can claim. This continued state of rescue is what heals, strengthens, humbles, and produces an immense sense of awe. 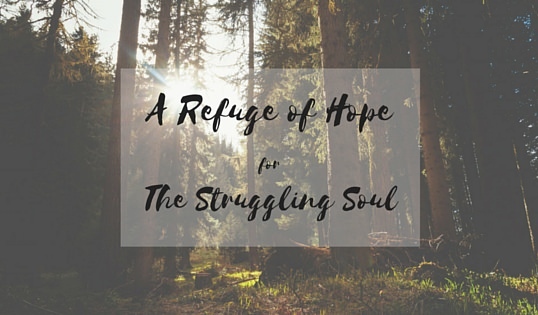 Maybe, like me, you sometimes feel the heaviness of struggle. Perhaps you empathize with Paul when he said, “For I do not do what I want, but I do the very thing I hate.” There is hope. For the believer, hold firmly to Him. Approach the throne of grace with the confidence you have as one who has been redeemed by, and through, Jesus Christ. 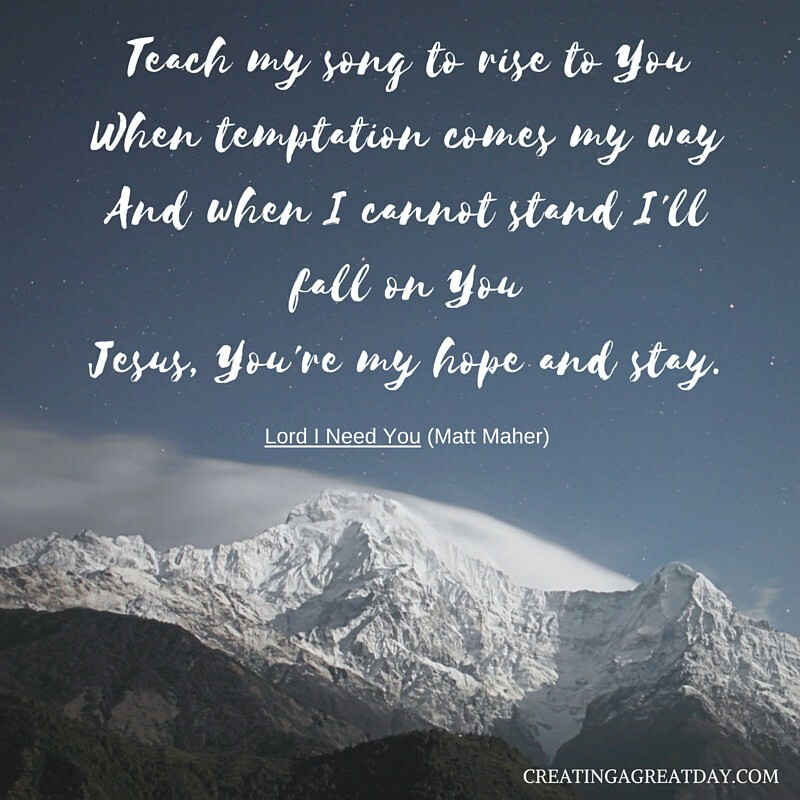 He is our help and our refuge in time of need, in time of temptation and struggle. His grace binds us to Him completely. Hold on to that and find rest in Him. While on this side of heaven we are not free from temptation, but we are free from its chains–through Christ alone. Abide in Him, for in Christ our holiness is found. Feeding the Flame: Is Your Faith a Blaze or a Flicker? I did not want to hear those words right as I was putting my daughter down for her nap! Apparently, my poor husband had been taking care of car troubles all morning. I thought it was a normal day, with my husband at work, I hadn’t been looking at my phone. Driving to pick him up, I felt my mood on the decrease as I thought about what these truck problems might cost. We’ve got enough, but money is still tight right now. The last thing we needed was to spend our financial cushion. I felt like crying. Later that day I did. Hmmm…I know, I know. We have God. Why don’t I feel okay though? Why isn’t that enough for me right now? God had an answer for me. 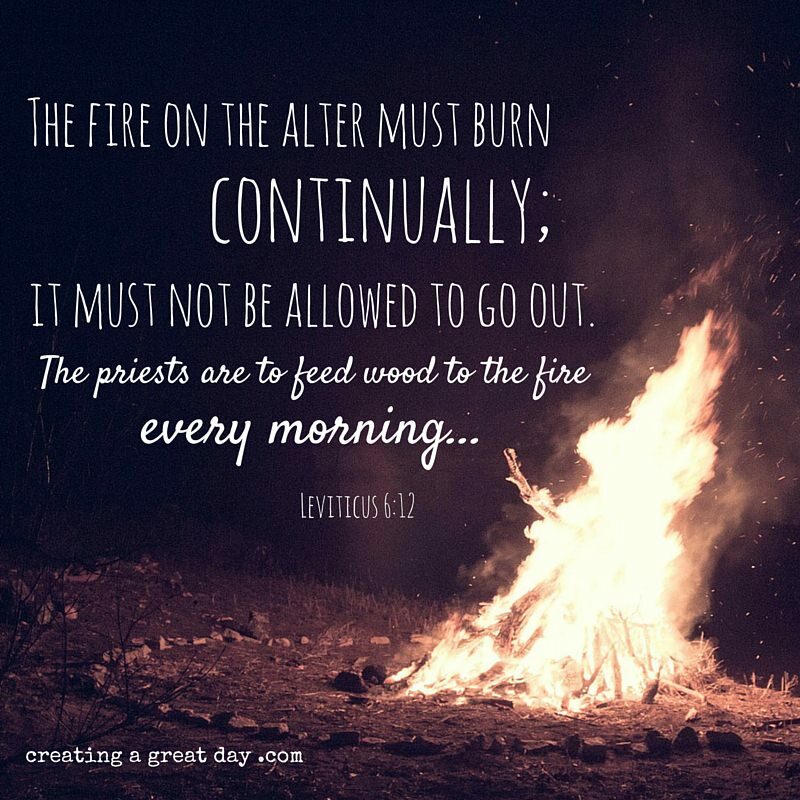 God’s instructions were that the fire on the altar be only the fire from God. The altar offerings were important–they were a means to salvation–and they could only be made with God’s help. This fire on the altar was a symbol of God’s power and presence in the lives of the Israelites and a reminder of their constant need for Him. This fire didn’t stay burning on its own though. The priests had to feed it each morning with wood so that it would not go out. That morning when everything seemed to be going wrong for me I had not fed my fire. That whole week, actually, I had not fed my fire. I don’t mean the literal fire on the altar mentioned in Leviticus, but you know what fire I’m talking about. The Spirit and the passion that lives inside of us when we accept Christ. The Spirit of Christ which cleanses us and makes us holy. Yes, that fire. Perhaps that fire needs to be fed often too. Perhaps that is a flame that should not burn out. 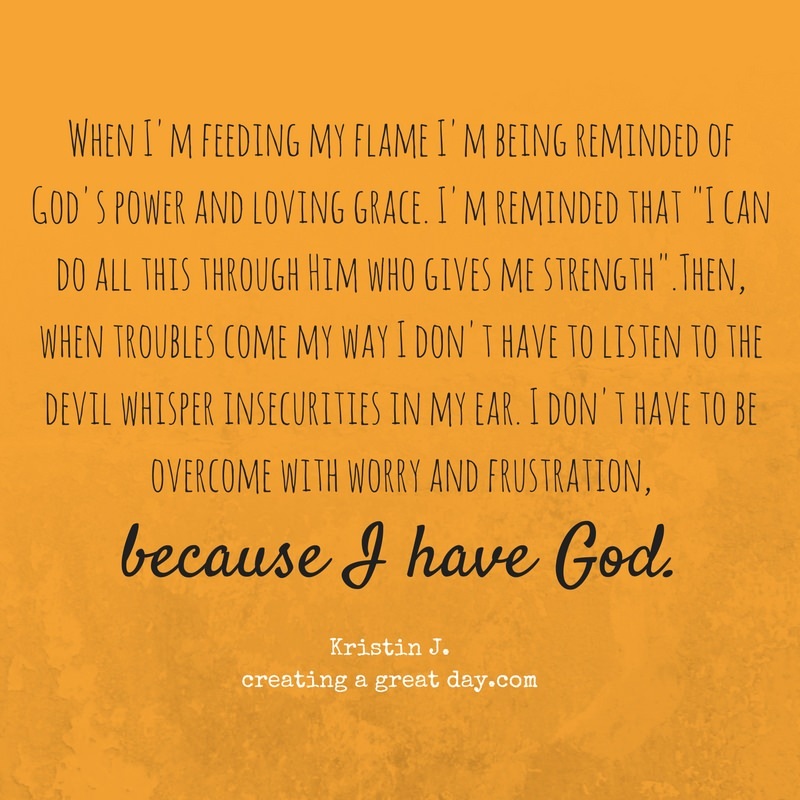 When I feed my flame, I’m reminded of God’s power and of his loving grace. 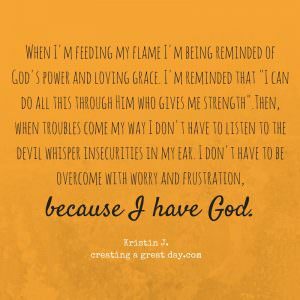 I remember that “I can do all things through Him who gives me strength.” (Philippians 4:13) Then, when troubles come my way I don’t have to listen to the devil whisper insecurities in my ear. I won’t be overcome with worry and frustration. Because I have God. If you’ve accepted Christ as your Savior then you have God, too. Having God means that we see the big picture. 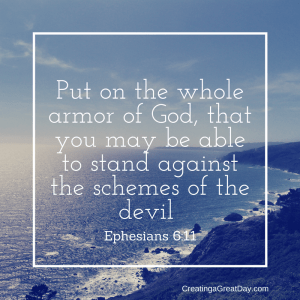 We see that we’ve overcome all obstacles already through the blood of Christ. Christ has prepared a way for us to eternal life with God, and that, my sweet friend, is what matters most in this life. A Flickering Flame or a Roaring Fire? 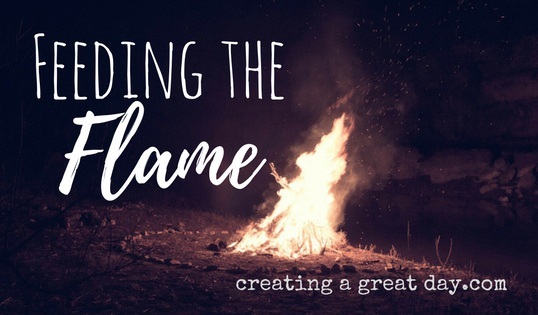 When we forget to feed our flame, we’ll hold only a small flicker and we’ll forget the power we have in Christ. We must feed our fire daily, every morning, so that it will not run out! When you wake up each morning, acknowledge our God! Make time to study His word so that you can learn more about Him. 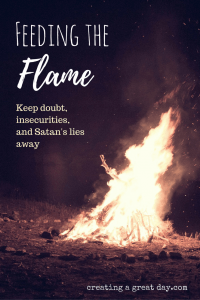 Feed your flame! Let God set your heart on fire and may it burn brighter and brighter over time. A year before we stood in the same spot but the conversation was oh, so different. 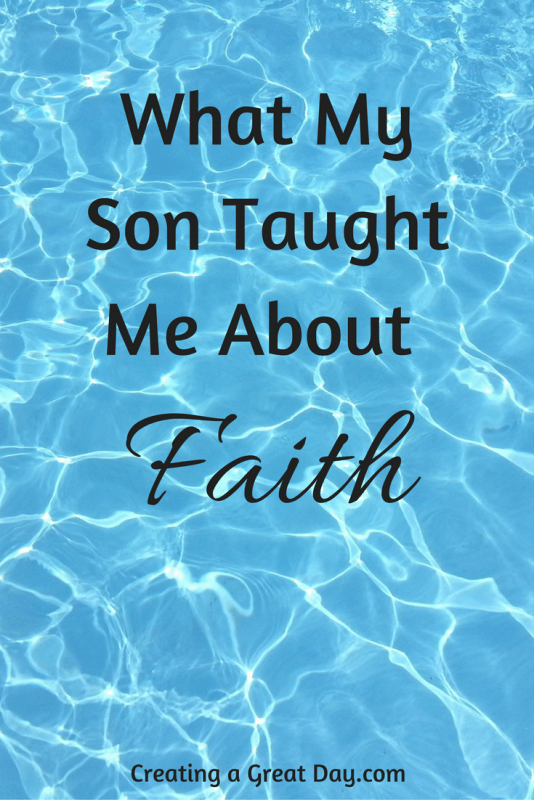 This time instead of me trying to calm his fears and encourage him to follow through, he taught me a lesson about faith. It happened so quickly, I couldn’t help but be thankful that this nugget of faith and truth had lodge itself in his heart. He immediately tested his faith by putting it into action and then tested mine as well, without even knowing it. Your wearing floaties so you will just pop back up like a cork in the water. It’s just like jumping off the side of the pool and you’ve done that a thousand times. 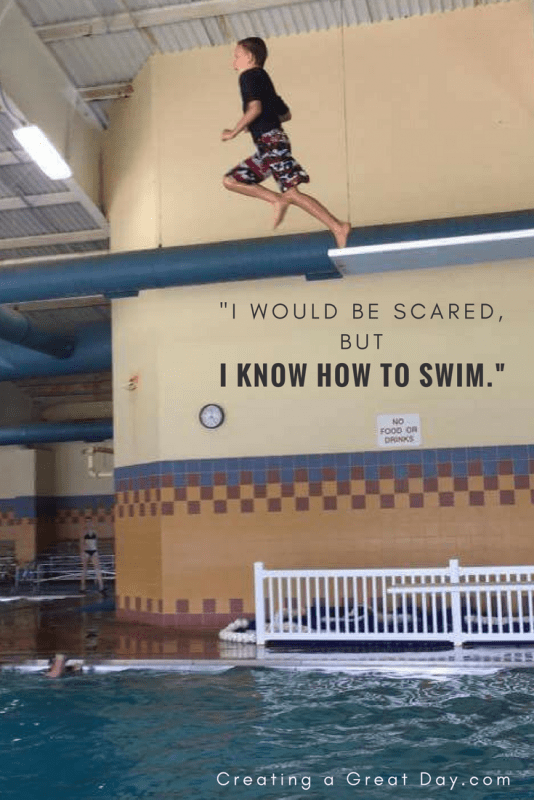 You know….all the things we normally say to get our kids to propel themselves into a large body of water when they are scared out of their wits. Needless to say, he climbed back down, looked at me with defeated eyes and took several steps back. We talked for a few more minutes. And then I did the only other thing I knew to do, I showed him that he would be perfectly fine by jumping off the board myself. For me it wasn’t a faith walk, but one of experience. 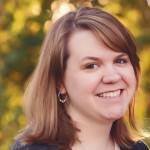 Wait…but in a way our faith is one of experience, right? It’s either based on our own experiences or the experiences we’ve heard others recount to us, either by mouth or through biblical text. After I jumped, courage started to build in his little heart, but he still wasn’t ready to jump by himself. Pool rules dictated it wasn’t an option for us to jump together but I could be in the pool and he could jump to me. So that’s what we did. 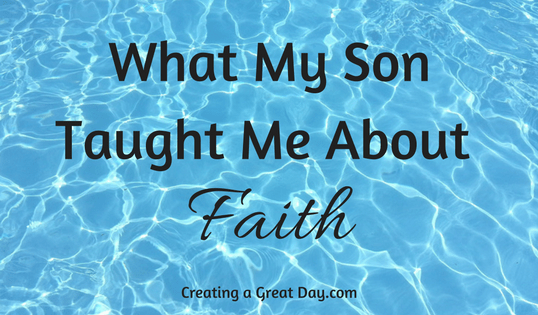 I once again jumped off the diving board and then he very slowly made his way out to the edge of the board and jumped near to my arms. He needed to see my experience play out in real life in front of him. No amount of words would convince him he would be ok until he saw me do it and he knew I would be by his side when he tried. Don’t we get the same way with God? Trepidation overcomes us and we cower back. Others try to convince us that God has us in the palm of His hand. If He calls us to something, He will walk us through it. But it’s not until we’ve witness God walking with us or with someone else that we start to believe it. My son no longer wears floaties and as soon as we arrived at the pool he said he wanted to jump off the diving board. I walk over to cheer him on. This time without hesitation, he grabs the rails of the low dive, walks the length of the board and jumps! His second jump off a diving board ever without a floatie and he decides to jump off the high dive! Needless to say, I thought we would have a repeat of what happened the year before on the low dive. But I was wrong! And there it is! My son’s faith in action. He didn’t even let fear take root because he knew he had the ability to swim. 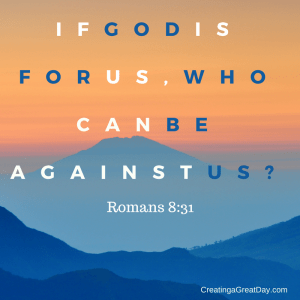 Do we trust God’s ability the same way? Mentally we might say, “Yes!” But have we let that truth sink into our hearts? There is a difference. This difference I witnessed in my son climbing up the high dive and then jumping off because he knew how to swim! His second time ever to jump off a diving board without a floatie and he did it! Then he did it again, and again, and again for the next hour. When we trust God and show our faith by jumping into what he has planned for us, it then becomes easier and easier to follow Him. Why? Because we know God will provide a way for us to swim. We’ve witnessed it. We jumped in and experienced God taking care of us. Has your faith made it all the way to your heart or are you holding on to the rails, calculating the risks of stepping onto the board? Or maybe your like me, by request I climbed the high dive stairs only to have my heart start thumping out of my chest. But then I thought, my son just did this because he knew how to swim! Her we go son. 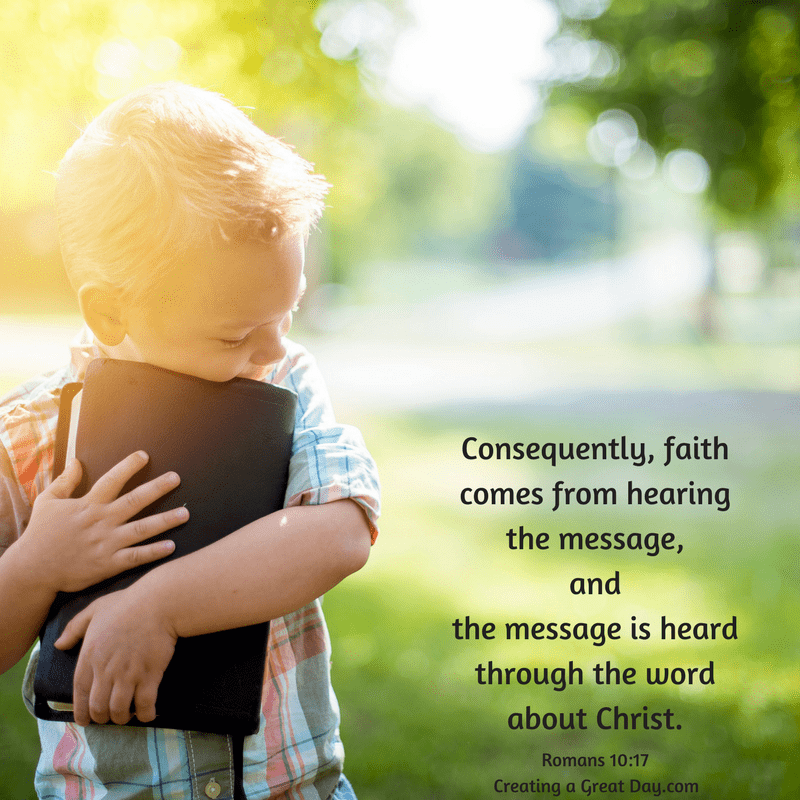 To have the faith of the child! Are you ready to jump? Do you know you can swim? 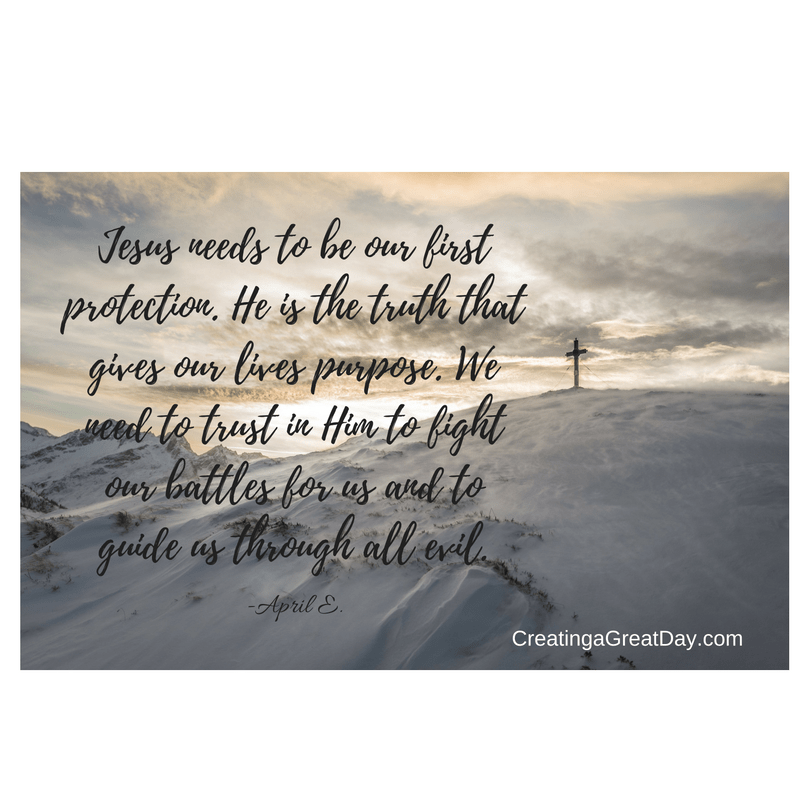 Are you trusting God today?